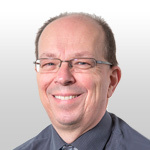 Graham has worked in the process improvement and quality management arena for over 20 years, working in corporate environments and as a consultant. During a successful career of over 30 years he has held a variety of management roles ranging from operations to strategic development activity. In Royal Mail he designed, implemented and managed the Business Excellence self-assessment programme, across 21 Business Units involving nearly 220,000 people. Graham has been an Assessor team leader for the European (EEA) and UK (UKEA) Business Excellence Award programmes for over fifteen years where he has led assessment teams and assessed a number of award winning organisations. He is an EFQM Master assessor and EFQM licensed advisor as well as having lead auditor status for Quality (9001) and Information Security (27001) management systems. He has owned and managed ley hill solutions limited for over 15 years.